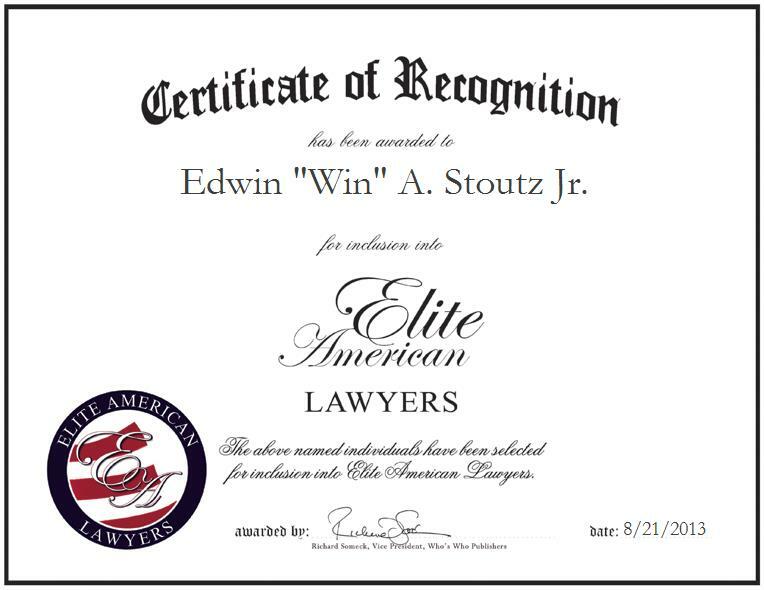 NEW ORLEANS, LA, August 21, 2013, Edwin Stoutz, Attorney at Stoutz & Stoutz Law Firm, has been recognized by Elite American Lawyers for dedication, achievements, and leadership in legal services. Mr. Stoutz is a highly regarded legal professional who serves as an attorney at Stoutz & Stoutz Law Firm. With 45 years of legal experience, he has garnered a reputation as a strong-willed professional whose knowledge of personal injury cases and auto dealership legal issues are unmatched. He gained his experience in the automotive aspect of law through working at a car dealership while attending law school. Mr. Stoutz began to gain clients and decided to focus on this area of law. Throughout his illustrious career, Mr. Stoutz has achieved stellar success working on contracts and supplied agreements, and in getting his clients their desired result. Mr. Stoutz provides his clients with unrivaled value in navigating the language, issues and practices unique to the automotive industry, such as supply contracts and purchasing protocols, part testing and certification, tooling use and ownership, software licensing, environmental and employment. Mr. Stoutz earned a JD at Tulane University Law School and a bachelor’s degree in business administration at Georgetown University. He keeps abreast of changes in his field through his affiliation with the Louisiana State Bar Association and National Association of Dealer Counsel. Mr. Stoutz attributes all the success he has experienced throughout his career to his persistence, hard work and community activities. In the near future, he would like to continue expanding his knowledge of the field and continue solving his clients’ legal issues.